This webinar provides a technology dive into the LTE-A Pro features, showing the flexibility and variety of LTE use cases and service scenarios. The features are presented from the perspective of the 5G service triangle ­– supporting higher data rates including LAA, enhanced CA, LWA, MUST and SC-PTM, massive machine type communications including LTE-M and NB-IoT enhancements and ultra-reliable low latency services such as C-V2X. 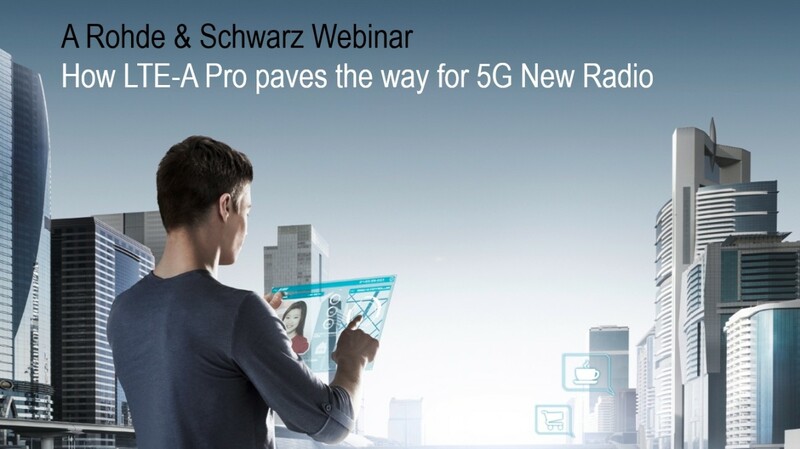 LTE-A Pro will play an essential role in 5G deployments. For example, option 3, the non-standalone (NSA) mode, will be dual connectivity of LTE-A and 5G NR; LTE-M and NB-IoT will cover the initial requirements of the internet of things and 5G C-V2X is a work item for Rel. 16, so the focus is still on LTE-V.